If Jesus were to come back during a service, would He find you with His bride? Pastor James Rosario preached a powerful sermon on Jesus returning for His church. As time passes we get closer to His return. This sobering sermon reminds us to keep our eyes on heaven for “no man knows the day or the hour” of Christ’s second coming! 4 And Jesus answered and said to them: “Take heed that no one deceives you.5 For many will come in My name, saying, ‘I am the Christ,’ and will deceive many.6 And you will hear of wars and rumors of wars. See that you are not troubled; for[a]all these things must come to pass, but the end is not yet. 7 For nation will rise against nation, and kingdom against kingdom. And there will be famines,[b]pestilences, and earthquakes in various places. 8 All these are the beginning of sorrows. 9 “Then they will deliver you up to tribulation and kill you, and you will be hated by all nations for My name’s sake. 10 And then many will be offended, will betray one another, and will hate one another. 11 Then many false prophets will rise up anddeceive many. 12 And because lawlessness will abound, the love of many will growcold. 13 But he who endures to the end shall be saved. 14 And this gospel of the kingdom will be preached in all the world as a witness to all the nations, and then the end will come. 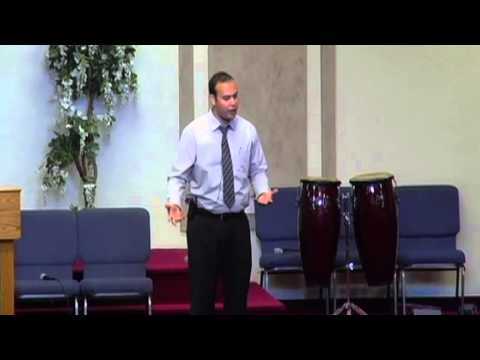 Pastor Aaron Salanoa preaches on the hardships of life, but how a God in heaven has remained faithful to him through the years. Open your heart as he tells the heart warming story of his pre-mature twins and their healing by the power of God! You marry more than a person, you marry an influence. One of the greatest influences apart from God in your life will be the person you marry. Solomon had a father with a heart after God, two powerful personal encounters with God, built the temple that would literally house the presence of God, has books named after him in the word of God and yet at the end of the day the Bible says his wives turned his heart from God to Idols. Bitter People become critical people. Forgiving is God’s revelation on how to survive life. People who refuse to forgive live in a restricted world of their past. Forgiveness allows you to grow beyond what you did. Testifying of his harrowing experience having had a stroke while preaching in the Bullhead City church harvestor’s homecoming, then miraculously recovering. He attributes his recovery to the corporate prayers of the saints. Chandler conference announcements are now available online. If you are not registered please do so you can access chandler church information and we can keep you on the mailing list for future news and updates. Copyright 2019 © The Door Christian Center.